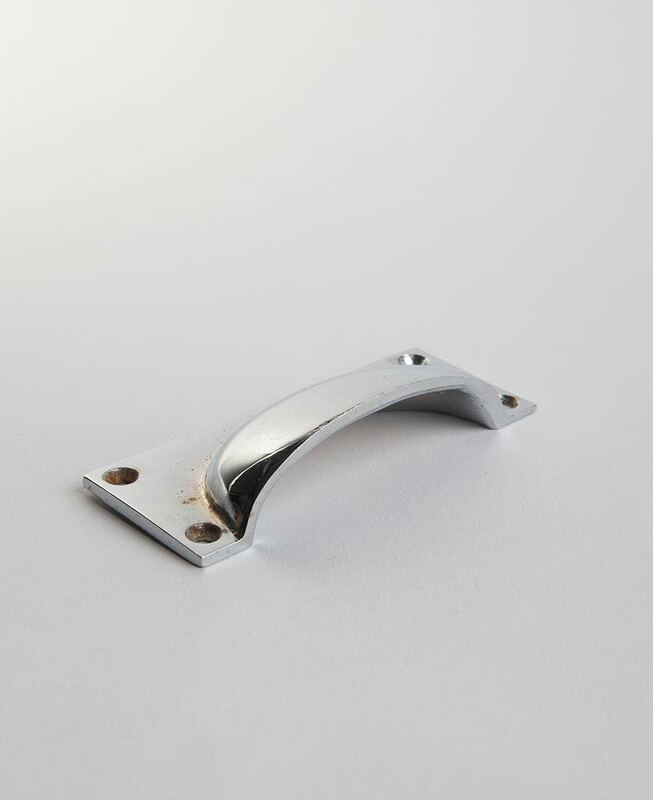 We love this traditional CROFT kitchen door handle. It’s the perfect mix of authentic vintage style and modern quality. 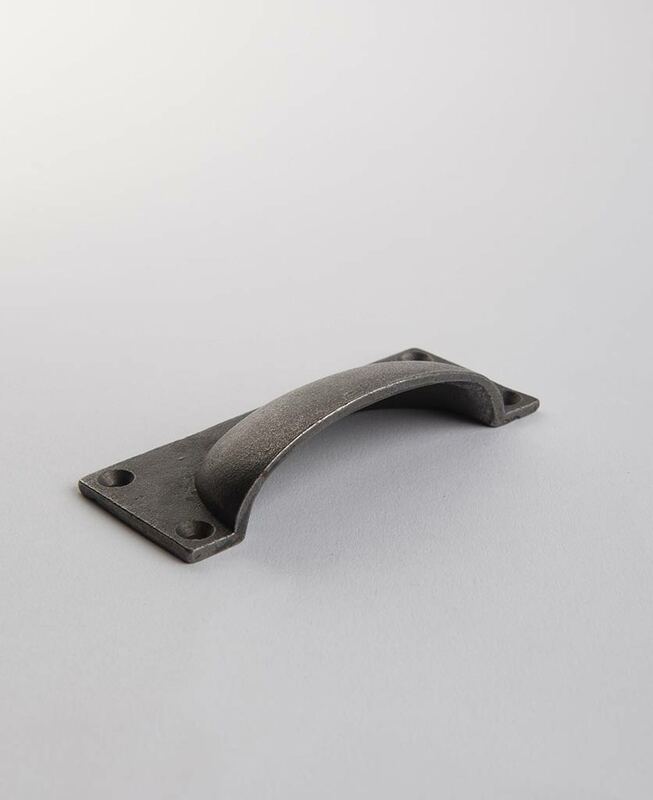 This solid metal handle with scoop pull is ideal for use on kitchen cupboard doors in farmhouse inspired kitchens. 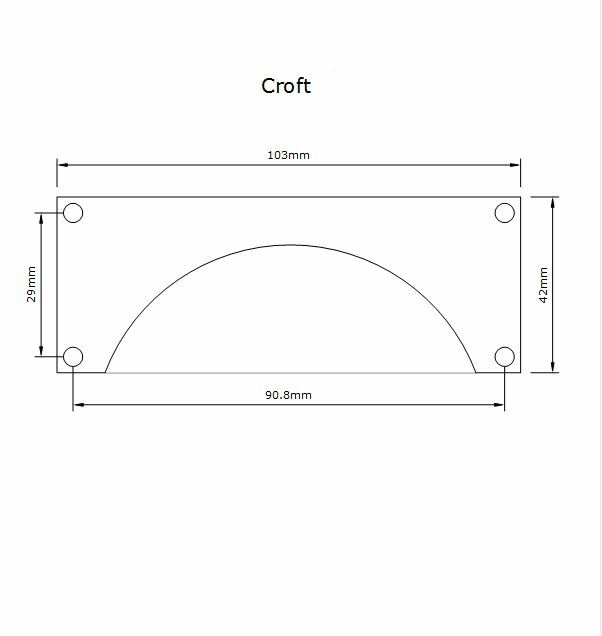 Our CROFT kitchen door handle adds the perfect finishing touch to doors and drawers in a rustic country kitchen. Croft handles are perfect for adding to handmade wooden kitchen cupboard doors and drawers but look equally good on a reclaimed vintage Welsh dresser. The most stylish way to open your cabinet doors and drawers we think you’ll agree. Use these vintage style pull handles to add an authentic accent to you farmhouse kitchen units. 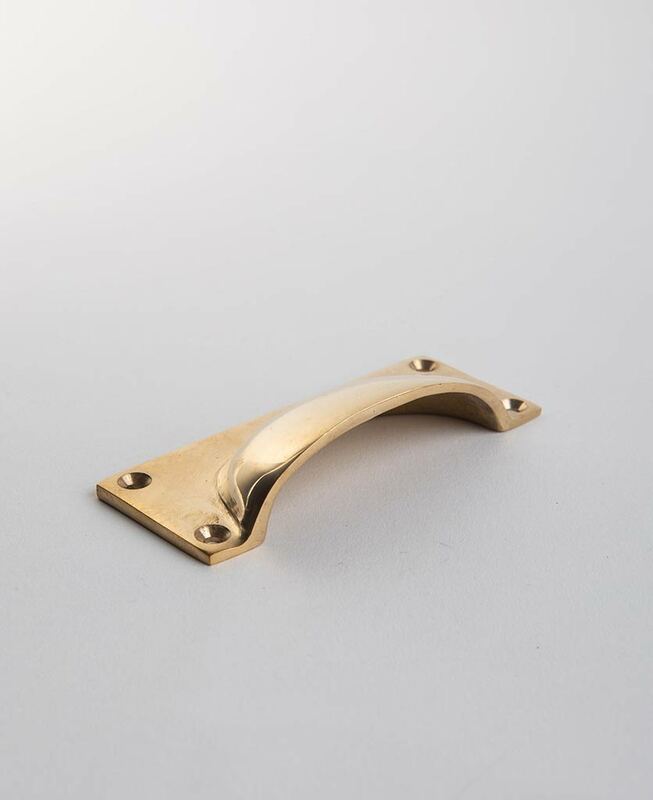 Traditionally this style of handle was used on wooden surfaces – our Croft handles look just as at home on painted furniture as they do on natural or oiled wood. 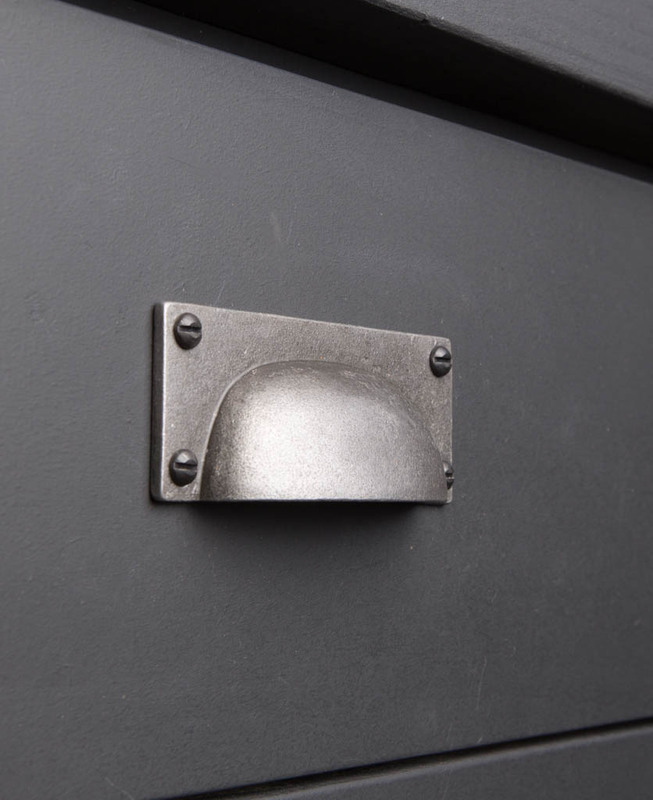 Our Croft metal furniture handles these come in two finishes to cover most country kitchen colour schemes. 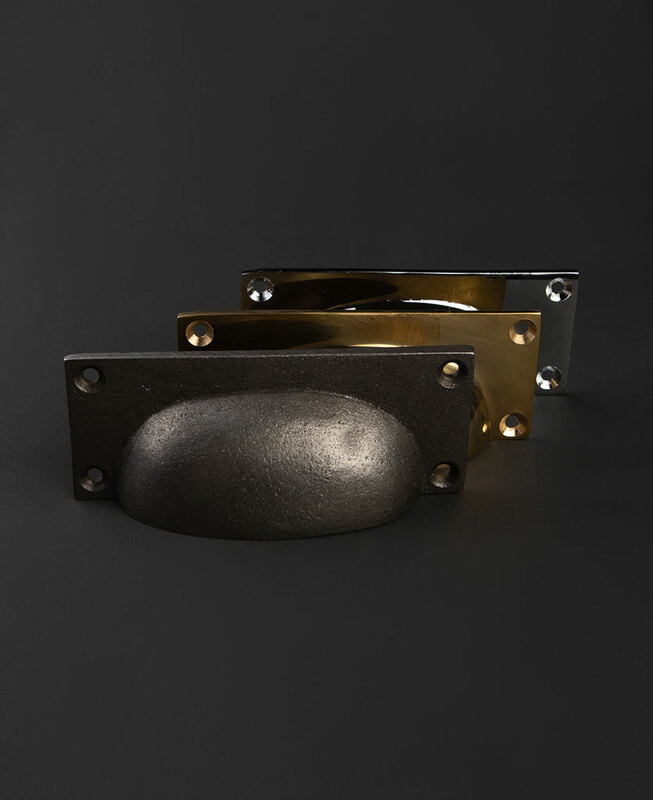 There’s Iron Age, a raw iron handle that’s just the thing to retain a rustic edge to your finishing touches or polished brass which looks best with natural wood.